Henna heart in His hand | Come believe with me. About five years ago, when I was living in the Palestinian Territories, a Palestinian friend was preparing for her wedding. She invited me to the henna party. I’d been invited to hennas before, but I’d never gone or thought much about it. 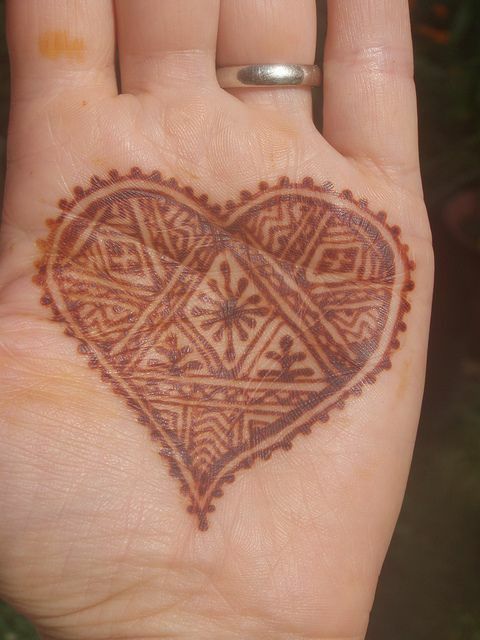 I began to think about how thoroughly I loved henna. I didn’t end up going to her henna, but I did decide that one day, when I married, I would have a henna party. I didn’t know then that I would marry someone of Indian heritage, who also had henna (or mehndi as it’s called) as part of the wedding traditions. Thus, when his mom recounted her wedding preparation stories, there would be henna involved. Moreover, when I would eventually tell my future husband’s mom about my own henna plans, she would appear as if near tears, light and joy shooting out of her very being. God is smart. He can out-think any box. And He has a knack for fulfilling promises in very amazing ways. He’s worthy of being handed your heart.